Tinley Beverage Completes THC Beverage Bottling Facility. Phase II Facility Completed, Capacity 3 Million Bottles Annually. Phase III Facility On Track, Projected Capacity 12 Million Bottles Annually. April 2019 Store Delivery Scheduled for Next Generation Cocktails. Phase III Will Include Direct to Store Distribution Facilty. Tinley ($TNYBF) Completes Expansion of Phase 2 Facility and Produces its Next-Generation Cannabis Beverages. 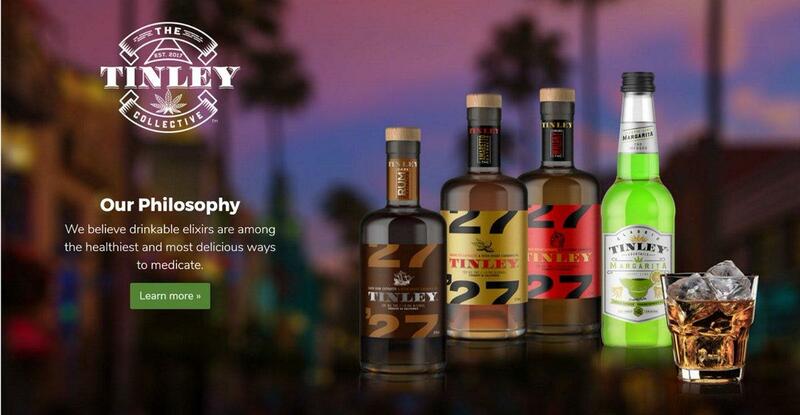 TORONTO and LOS ANGELES, March 21, 2019 (GLOBE NEWSWIRE) -- The Tinley Beverage Company Inc. (the “Company" or "Tinley") is pleased to announce that it has completed its planned expansion of the bottling facility in the Coachella Valley, California (the “Phase 2 Facility”) to produce Tinley’s great-tasting cannabis-infused beverages. This facility can now produce up to 3 million bottles per year, and the Company projects an average wholesale price of US$3-US$4/bottle for its single-serve beverages and US$15-US$17/bottle for its multi-serve beverages. The next-generation versions of Tinley’s acclaimed cocktail-inspired, non-alcoholic cannabis beverages are intended to go into production at this expanded facility for delivery to stores in April. These next-generation products contain updated cannabis solubalization technology, clean label claims, and packaging that complies with new California regulations. The Company is also pleased to announce that it remains on schedule to complete the build-out and installation of a state-of-the-art bottling line at its flagship bottling plant (the “Phase 3 Facility”) in Long Beach, California by the end of the second quarter of 2019. Tinley’s flagship Phase 3 Facility will have bottling capacity of approximately 12 million bottles per year, with a space plan for up to two additional bottling lines to accommodate additional beverage formats and capacity as required. The Phase 3 Facility will also be home to Tinley’s purpose-built beverage distribution facility, which will allow Tinley to execute a controlled DSD distribution model and capture additional economics from this downstream phase of the value chain. Upon licensing of the Phase 3 Facility, Tinley intends to move the bottling line in the Phase 2 Facility to one of its priority expansion jurisdictions elsewhere in North America. The Company continues to caution, however, that the timing of full licensing of the Phase 3 facility remains uncertain, and that, like any consumer products company, anticipated revenue is a function of consumer demand, not of the Company’s production capacity. The Company expects to commence production of $200,000 worth of the next-generation Margarita and Moscow Mule-inspired, non-alcoholic cannabis-infused beverages. This quantity reflects back ordered and indicated demand from distributors to date in 2019. All beverages produced in this run are expected to be shipped to stores during the month of April. The Company will then immediately focus on the production of its non-alcoholic Tinley ’27 products, which are inspired by Cinnamon Whisky, Amaretto, and Rum. As previously disclosed, California’s cannabis regulators began making requests in late 2018 for modifications to the Company’s packaging to reflect anticipated 2019 regulations. As a result, Tinley elected to pause production to accommodate the upgrade and expansion of the Phase 2 Facility, while making the required packaging modifications. During this time, Tinley also implemented newer beverage technology that allows for faster onset and offset times, visual clarity and a greater full-flower Sativa effect. Tinley selected this technology out of 13 candidate technology suppliers, and integrated it with the Company’s own technologies, methods and flavor systems. The updated products are vegan, gluten free, and contain as little as 1g of sugar per serving. These products were designed based on the significant amount of intellectual property that Tinley accumulated via the initial versions of these products. This IP includes learnings on consumer purchase and consumption habits for various types of cannabis beverages, as well as SOPs for scaled cannabis beverage production. 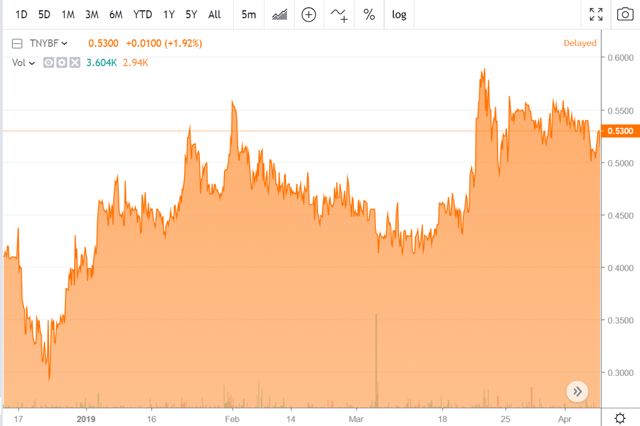 “We’re excited to be launching our next-generation products, with a significant amount of dispensary demand already in hand as a result of the positive consumer response we received for our initial products. 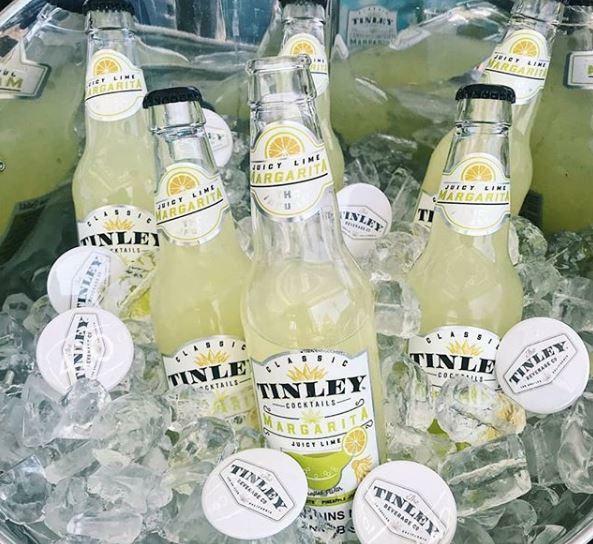 We believe that Tinley is the first-mover with liquor-inspired, non-alcoholic beverages that contain cannabis 2.0 solubalization technology,” said Rick Gillis, President, Tinley Western USA. Products, formulations, and timelines outlined herein are subject to change at any time. All figures CAD unless otherwise indicated. Disclosure: I am/we are long TNYBF. Additional disclosure: Client, see upcoming report disclaimers.